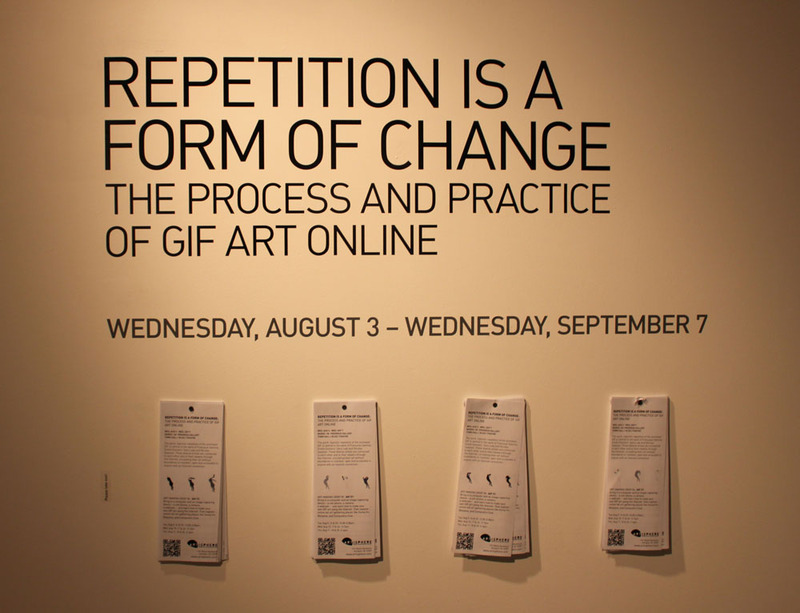 You only have a few days left to go to Repetition is a Form of Change in the Works-in-Progress Gallery at Artisphere. The title panel for the exhibition features four stacks of narrow paper flyers pinned to the wall. You're invited to take one. 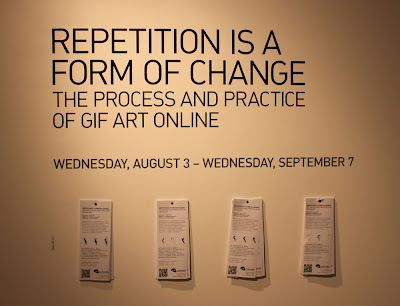 Look on the backside of the flyer and you'll discover, "Internet art lives on the Internet." There's a lot of great art here. Fellow office drones might especially appreciate the artwork, Experiencing Deep Personal Grief, by Alexandria McCrosky.